Prince Naseem was one of the most compelling figures in the world of boxing over the past 10 years. This book is written from a psychology professor who has enjoyed personal relationships with Naseem's former coach Brendan Ingle and several of the boxers working out in his gym. 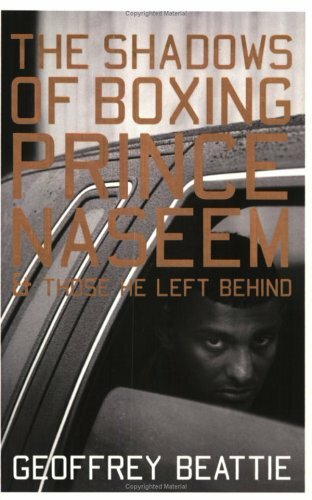 Consequently the book offers some interesting insight on Naseem. Oddly enough the book deals only for about 50% with Naseem Hamed. The rest of the time Beattie digresses into personal anecdotes about hanging out in night clubs and boxing gyms with semi-professional boxers. Not missing a beat on boasting about what great and tough a guy he is (declaring himself as the modern-age Friedrich Engels in the process). One of the main arguments Beattie tried to back up with this book was, that one of the main reasons for Hamed's downfall was his over-sized ego. The strange part is that you could get the same impression about the author, while reading this book.